Yes! 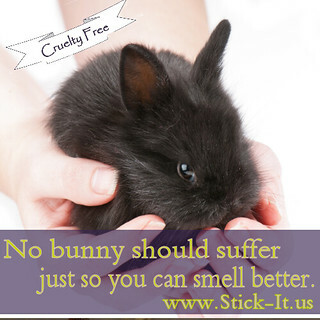 Of course Stick-It is cruelty free. We can't imagine anything less. We only use plant based ingredients therefore there is no need to test on anyone or anything to know its potential side effects. Our ingredients have been used for centuries so the record is very long! In some cases hundreds of years long. Being Cruelty Free is something you may tend take for granted, we kind of did, but turns out it's a pretty big deal after all. With the advances we have in software and other technology, it's hard to believe that animal testing still exists. But, sadly it does. It's still practiced in the cosmetic and pharmaceutical industry (as well as others) and sometimes that bleeds over into skin care (since it is a cosmetic) where they share some similar ingredients. So what does it mean when a company says their products are cruelty free? 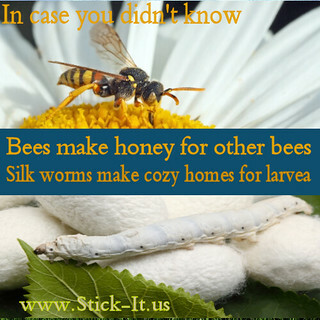 It means that no living creature (and in the case of vegans – no insect*) was harmed in any way to make the finished product. That standard expands beyond the manufacturer of the finished goods. It reaches into the entire supply chain for each and every one of the ingredients that goes into that end product. No harm, no foul. So each and every item can be a bit daunting when you think of all those engineered compounds used in many products. After all, those ingredients need to get tested for safety and effectiveness before they can be used on people. It's considered in-humane to test on human subjects and it was legally banned years and years ago. That same compassion has not yet been extended to all living creatures, unfortunately. Yet, every time the scientists take to the lab and cook up that new enzyme or synthetic compound to make you look younger or sexier, they have to test it. It has to be tested for effectiveness and safety. How do you think they do this? You cannot test an unknown compound on human subjects (whether they volunteer or not). They don't have the same advantage as natural ingredients do, century's worth of human “hands on experience”. Nature, in its unaltered state or un-isolated, the totality is well known and records have been well established. We're glad we chose to go 100% natural. No additional testing required by the supply chain to know the safety and effectiveness of our ingredients. Since all of our natural compounds are well known, the only testing we ever do is on willing customers interested in trying new blends.